LOS ANGELES - Four-division world champion Adrien Broner and three-division world champion Mikey Garcia completed a two-day media tour that took them from coast-to-coast and culminated with a Los Angeles press conference Tuesday to discuss their super lightweight showdown that headlines SHOWTIME CHAMPIONSHIP BOXING Saturday, July 29 live on SHOWTIME. Broner vs. Garcia is presented by Premier Boxing Champions at Barclays Center, the home of BROOKLYN BOXING®. Tickets to the event, which is promoted by Mayweather Promotions and DiBella Entertainment, are priced at $950, $750, $350, $300, $250, $150, $75, and $50 (not including applicable fees), are on sale now, and can be purchased at ticketmaster.com, barclayscenter.com or by calling 800-745-3000. Tickets can also be purchased at the American Express Box Office at Barclays Center. Group discounts are available by calling 844-BKLYN-GP. 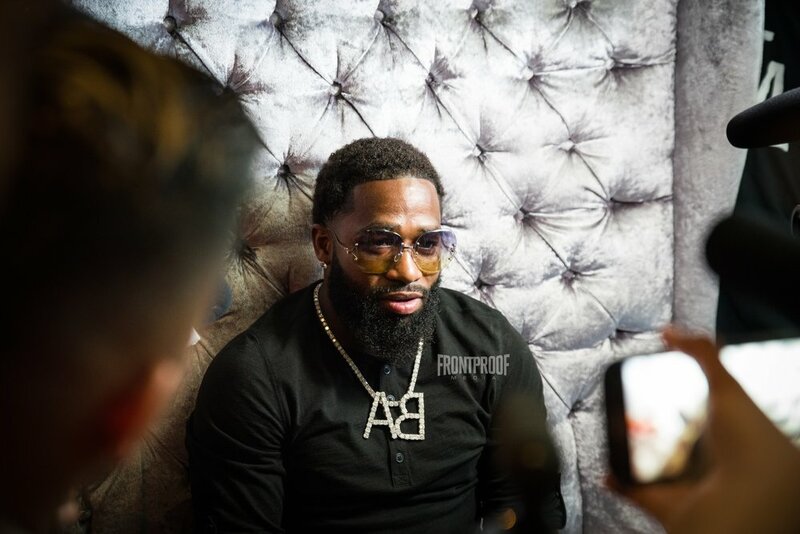 The fighters spoke to media at the Conga Room in L.A. Live as they prepare for the 12-round matchup that serves as one of the summer’s premier fights. Luis Mejia is a boxing and MMA photographer based out of Los Angeles, California and has developed the ability to cross platforms in the field of photography, videography and life. Luis can shoot in different areas of photography such as portraiture, landscape and fitness. He is currently in the process of receiving his bachelor's degree in psychology. Luis joined the team at Frontproof Media in 2017 with the intentions of producing those battle and war type photos that leave you breathless and wanting more. Luis has been a fan of the MMA scene since when it was still borderline illegal, while the sport of boxing has ran through his blood because being of Mexican descent and living in Southern California naturally made him a Julio Cesar Chavez fanatic, as he found himself watching countless fights from one of the best pound-for-pound fighters of all time. Stay in the loop and follow Luis’ work here on Frontproofmedia.com, and on social media at @lmejiaphotography on Instagram, @odwheelman on Twitter and Lmejiaphotography on Facebook.